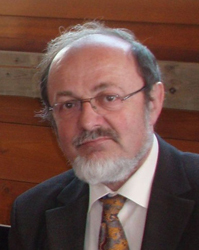 Biography: Jaroslav Pokorny received his Ph.D. degree in theoretical cybernetics from Charles University, Prague in 1984. He is a full professor in its Faculty of Mathematics and Physics. He has published more than 300 papers and books on data modelling, relational databases, query languages, XML technologies, and data organization. His current research interests include semi-structured data, Web technologies, database architectures, indexing methods, and social networks. 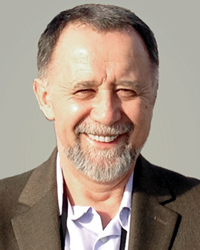 Jaroslav Pokorny served as a chair or co-chair in the organization of conferences ADBIS-DASFAA (2000), EDBT (2002), Int. Workshop ClustWeb in conj. with EDBT (2004), Web X.0 a Web Mining Workshop in conj. with IEEE ICDIM (2007), ISD (2010), IDEAS (2012), ADBIS (2013), etc. He is a member of ACM and IEEE. He works also as the representative of Czech Republic in IFIP. Biography: Professor Rory V. O'Connor is an Associate Professor of Computing at Dublin City University, where he is currently serving as the Head of School of Computing. 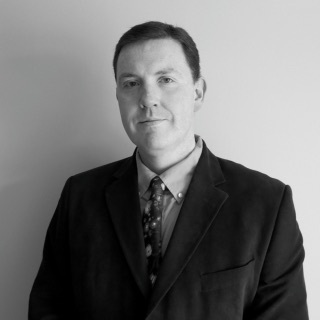 He is also a Senior Researcher with Lero, The Irish Software Research Centre. He is an active member of the international standards community and is the Head of Delegation (for Ireland) to the international standardization bodies ISO/IEC JTC1/SC7 and ISO/IEC JTC1/SC40 and editor of ISO/IEC 29110-2 Lifecycle Profiles for Very Small Enterprises. His research interests are centered on researching methods, techniques, tools and standards for supporting the work of software project managers and software developers in relation to software process, process improvement, and the management of software development projects. Abstract: We can observe that many features of traditional RDBMS technology are lost in context of database storage and processing Big Data. Now we have number database technologies called usually NoSQL, like key-value, column-oriented, and document stores as well as search engines and graph databases. Whereas SQL software vendors offer advanced products with the capability to handle highly complex queries and transactions, NoSQL databases share rather characteristics concerning scaling and performance, as e.g. auto-sharding, distributed query support, and integrated caching. Their drawbacks can be a lack of schema or data consistency, difficulty in testing and maintaining, and absence of a higher query language Complex data modelling and the SQL language as the only access tool to data are missing here. On the other hand, last studies show that both SQL and NoSQL databases have value for both for transactional and analytical Big Data. Top databases providers offer re-architected database technologies combining row data stores with columnar in-memory compression enabling processing large data sets and analytical querying, often over massive, continuous data streams. The technological progress led to development of massively parallel processing analytic databases. This complex Big Data processing requires to integrate more database technologies into more complex software stacks. In this talk, we will present some details of current database technologies, their pros and cons in different application environments, and emerging trends in this area. Abstract: There are a great many Software and Systems Engineering standards such as those supported by organizations like the ISO (International Organization for Standardization). It is often said that many of these have a poor reputation with many sections of academia and industry. Whilst there may be many publicized business advantages of using standards, standardization is an often-neglected route for exploiting academic and commercial research. Often researchers have little experience of standardization to plan, implement and exploit their research utilizing standards. Involvement with standards development organizations in your research can positively increase international recognition and highlight in a world stage your research and enhance your international reputation. As part of this keynote address, I will examine the benefits of being directly involved in the standards community for both industry and academia and specifically how standards can inform your research. Based upon personal experience as Ireland Head of Delegation to ISO's Software and Systems Engineering group and that of being an ISO standards editor I will examine the issues and benefits of becoming actively involved inside the standardization community and how this can be translated into your personal research agenda. Abstract: After the World Wide Web and the Mobile Internet, we are now heading to the third and potentially most "disruptive" phase of the Internet revolution - the "Internet of Things" (IoT), defined as the worldwide network of interconnected objects uniquely addressable based on standard communication protocols. The IoT objects, or "things", fall in several broad categories: (a) passive objects with very limited identification features based on the Radio Frequency Identification (RFID) technology, (b) passive RFID objects with extra memory and sensing capabilities, and (c) active, or smart, objects augmented with sensing, processing, and network capabilities based on non-RFID communication protocols. These smart object are in the heart of the IoT but they alone cannot realize the full potential of IoT. The most ubiquitous objects in the IoT ecosystem, those that reside at the lowest system level, belong in the first two categories. The RFID IoT objects are predicted to be produced in volumes measured in tens and even hundreds of billions. The key economic factor that will drive the deployment of the IoT is the cost at the end points. Therefore, the future of the IoT depends on developing an ultra-low-cost technology solution that can mass-produce low cost, RFID IoT objects of both varieties on flexible substrates. At a first glance, the printed electronics would be the ideal technology for this purpose. However, printed electronics hits a roadblock when attempts are made to print high-performance semiconductor devices such as fully functional RFID chips. There is a growing consensus among researchers and practitioners that all-printed circuits of any significant functionality are still far in the future. This has given rise to the concept of hybrid flexible electronics (FHE) that integrates the methods of printed and conventional electronics by taking the best from both worlds. The functions and performance necessary in data processing and modern communication delivered by the conventional CMOS technology are integrated in the cost-effective printed electronics technology. In a FHE device, the methods of printed electronics are used to produce passives, interconnects, antennas, sensors, etc., using the conventional printing techniques such as screen printing, ink jet, gravure, flexography and others. Independently, discrete components such as ICs are readied for assembly. The preparation includes thinning the CMOS device to a thickness of less than 50 μm, at which thickness the inherently brittle Si becomes flexible. During the packaging step, the flexible CMOS components are attached to the circuitry on the flexible printed substrate. The conventional chip assembly methods cannot sufficiently handle chips with thicknesses of 50 ?m or less. Several unique methods for chip assembly are discussed, incl. modified pick-and-place, laser-assisted assembly, and fluidic self-assembly. An evolution of the surface mount technology is the embedded electronics where the entire electronic device is integrated within the flexible substrate.